Aston Martin Lagonda Taraf in Nashville? I had just parked my car in the parking garage at my fancy pants corporate job (where flashy cars are occasionally known to frequent) and I saw a small, low car that sounded distinctly like a V12 drive by on the street. Actually, I heard the car first and THEN saw it, briefly. I couldn’t identify it from the rear 3/4 but it looked like a sedan and it had horizontal tail lights with a silver strip through them that ran from one side to the other. 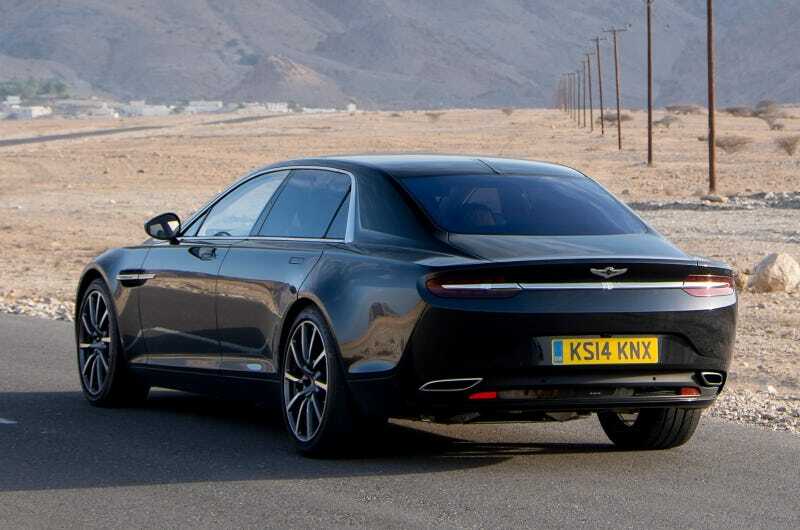 The only vehicle that I can think of would be the Aston Martin Lagonda Taraf... but did those even make it over here? EDIT: Added a pic as payment.